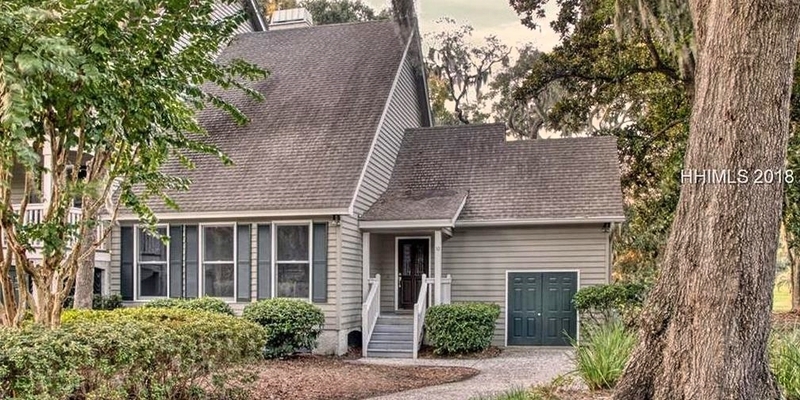 This newly renovated Lowcountry residence is set with the Haig Point Club on Daufuskie Island. GA. A move-in ready, turn-key villa, it features a fine golf view and 1,676 sf of living space. Adding to the golf views is a landscaped yard accented with moss-draped oaks and more. Send me more about this home in Haig Point! Haig Point is a serene and nature-loving community set on the sea island of Daufuskie Island, located just off the South Carolina coast between Hilton Head and Savannah, GA. With 3.5 miles of pristine beachfront, Daufuskie is surrounded by the waters of the Calibogue Sound, the Intracoastal Waterway and the Atlantic Ocean. Residents and guests drive electric golf carts to the points of interest in and around the community, including the 150-year-old Haig Point Lighthouse, Strachan Mansion and the ruins of 19th-century slave quarters. Send me more about this home in Haig Point! The community is home to a Rees Jones Signature golf course, plus the full-length, nine-hole Osprey course. With three nines to choose from you never have to worry about getting a tee time. The championship course features spectacular waterfront holes and its No. 14 bears the honor of being one of Golf Digest’s Best par-5 holes in the U.S. The Haig Point Tennis Center features six Har-Tru courts, including two that are lighted for evening play. Clinics are held regularly for everyone from beginners to advanced players. The U.S. Tennis Association has recognized Haig Point Club’s superior programs and facilities by giving it the USTA’s Outstanding Tennis Facility award. Send me more about this home in Haig Point!